Martin Bester's new puppy has a name! Martin Bester has a new puppy and we want you to name it! If you have pets or are a lover of pets, you would find Martin Bester’s new puppy adorable! 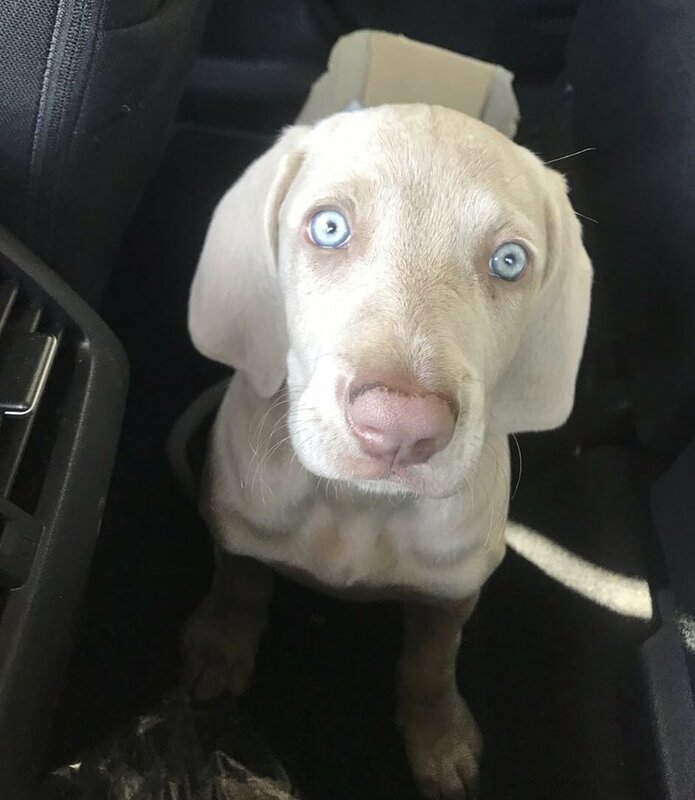 Martin Bester surprised us all when he said he arrived at home yesterday and an adorable Weimaraner waited at the door for him. 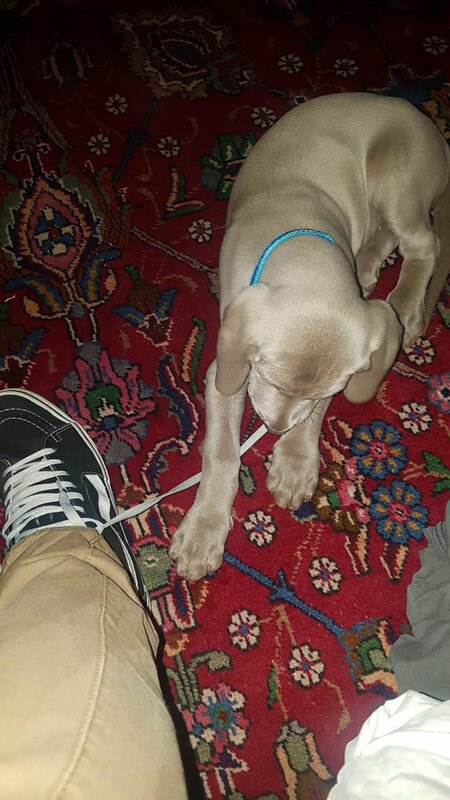 These dogs have a great deal of energy and stamina, and need a lot of exercises and mental stimulation, which is why the puppy woke Martin Bester up at 04:00 this morning to help him tie his shoelaces! READ ALSO: Martin Bester's chickens are so spoilt! 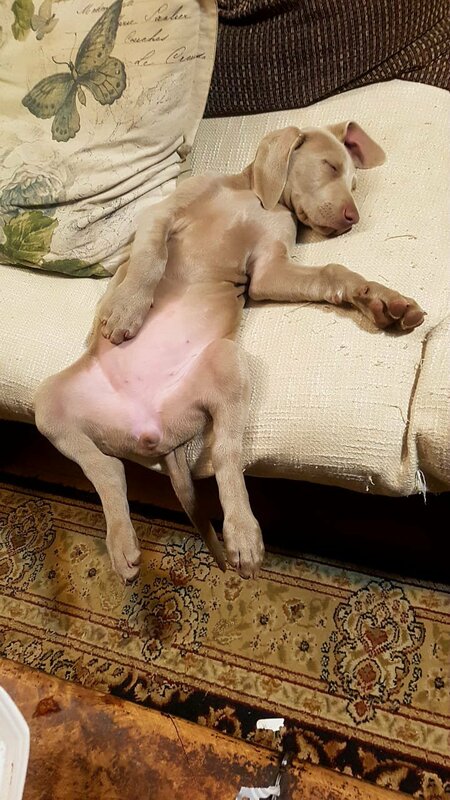 Ripley is becoming too adorable for words and Martin Bester just had to snap her sleeping over the weekend.